Mystery Readers in Unexpected Places. The February 18th PW review of Perfect Hostage: A Life of Aung San Suu Kyi, Burma's Prisoner of Conscience revealed that the Nobel Peace Prize recipient is a fan of Georges Simenon's Inspector Maigret. Harrius Potter et Philosophi Lapis. The February 28th book auction at Bloomsbury Auctions features, among other works, a copy of Edgar Allan Poe's Tales of Mystery and Imagination (1935), illustrated by noted artist Arthur Rackham; and copies of Harry Potter and the Philosopher's Stone in Gaelic, ancient Greek, Welsh, and Latin. Weirdest book titles of the year. I adore last year's winner: The Stray Shopping Carts of Eastern North America: A Guide to Field Identification. The public can vote on these choices; go here for further details. 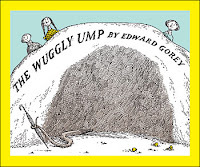 Noted artist with a bent for the macabre Edward Gorey was born today in Chicago in 1925. In addition to books such as The Wuggly Ump (1963), he produced the opening titles for the PBS Mystery! series and the stage design for the Broadway production of Dracula starring Frank Langella. 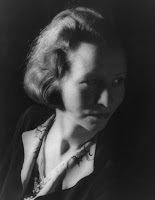 Pulitzer Prize-winning poet Edna St. Vincent Millay was born today in Maine in 1892. As I noted in my spring 2003 Mystery Scene article "'Me and Eddie Poe,'" Millay dabbled in mystery, producing a handful of stories that included "The Murder in the Fishing Cat," which was published in the May 1950 EQMM and a few anthologies. Happy birthday, Charles Scribner; Barbara Jordan. Charles Scribner, who started the publishing house in January 1846 that bears his name, was born today in New York in 1821. Scribner's first bestseller was J. T. Headley's Napoleon and His Marshals, published in April 1846. 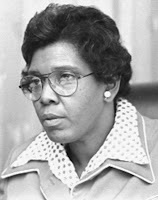 And Texas Congresswoman Barbara Jordan was born today in Houston in 1936. Many remember her keynote address to the 1976 Democratic convention as well as her spirited service on the House Judiciary Committee during Watergate. After she left Congress in 1979, she taught at the LBJ School of Public Affairs at UT Austin until her death in 1996. For a collection of her speeches, see Barbara Jordan: Speaking the Truth with Eloquent Thunder (UT Press, 2007). What an extraordinary mind. Len Deighton, ex-pastry cook and author of spy novels such as The Ipcress File (1962; film 1965), Funeral in Berlin (1964; film 1966), and Berlin Game (1983), was born today in London in 1929. He also used my surname for a character. "Ferdy Foxwell," friend of spy Armstrong, appears in Spy Story (1974; film 1976). I'm uncertain where Deighton came across the name, but the producer of The Quiller Memorandum by Adam Hall (aka Elleston Trevor) was Ivan Foxwell. American novelist and Book of the Month Club selection judge Dorothy Canfield Fisher, born today in Kansas in 1879; her books include Understood Betsy (1917) and The Deepening Stream (1930). British and Belgian archaeologists are excavating the "Vampire Dugout" in Belgium, a major World War I battle planning site, which proves to be in remarkable condition and also holds—gulp—live shells. Go here for the BBC video. Hat tip to the Great War fiction blog. About the photo: Irish World War I recruiting poster, ca. 1915. Library of Congress, Prints and Photographs Division, reproduction no. LC-USZC4-10976. Kansas City's Valancourt Books has recently reissued the Queen of Sensation's Thou Art the Man—a tale of murder and madness in which an heiress pursues the answers to an unsolved case that may implicate her cousin as the culprit. It has been out of print since 1894. Although Wilkie Collins is often credited with the first full-length mystery novel (The Woman in White, 1860), Braddon's work is contemporaneous with his (e.g., Trail of the Serpent, 1860; Lady Audley's Secret, 1862). Author Georges Simenon, the creator of Inspector Maigret, was born today in Belgium in 1903. He became a journalist at age 15, and his early writing was rejected by Colette (the then-editor of Le Matin). His eventual output was approximately 80 pages per day, and he produced some 200 books before his death in 1989. Maigret debuted in 1929, in The Strange Case of Peter the Lett, followed by appearances in some 75 novels and 28 stories. For information on the Maigret series broadcast on the MhZ networks, go here. For details on other screen Maigrets, including Michael Gambon, go here. The New York Review of Books Classics has recently reissued some of Simenon's non-Maigret works. It is sad to learn that bestselling novelist, MWA Grand Master, and Malice Domestic Lifetime Achievement recipient Phyllis A. Whitney died of pneumonia on February 8 at the age of 104. A two-time Edgar winner and author of some 75 books, Phyllis was a lady in every sense of the word and was known for her kindness and graciousness, especially to new writers. In conveying a sense of place in her work, few were her equal. I had the privilege of working with her, as she introduced Malice Domestic 5, and received lovely, handwritten notes from her that thanked me for making her "feel a part of things." One colleague told me that she had been an indifferent reader until she opened one of Phyllis's novels. After that, she became a voracious reader—a fine testament to Phyllis's skill as a storyteller. In my books I've dealt not only with everyday human problems. I've written about racial prejudice. I've given young people a picture of Hiroshima as it is today. I've written about apartheid in South Africa. Not to bog down the story, remember, never to preach. But to give substance and meaning and value, so that the book can't be dismissed as "just another mystery." And, of course, to satisfy my own need to write about precepts I believe in. —Phyllis A. Whitney, "Writing the Juvenile Mystery." Writing Detective and Mystery Fiction. Ed. A. S. Burack. Boston: The Writer, 1967. 265. About the photo: Elizabeth Peters (left), Anne Perry (center), and Phyllis A. Whitney at Malice Domestic V in 1993. Photo by Laura Hyzy. Lawyer and Parliamentary candidate Sir Anthony Hope Hawkins, better known as Anthony Hope and the author of The Prisoner of Zenda (1894), was born today in 1863. Praised by Arthur Quiller-Couch (aka Q) for his "singular and agreeable talents," Hope, after producing his most famous work about political intrigue in the fictional kingdom of Ruritania, wrote the sequel Rupert of Hentzau (1898), which followed the further adventures of the villain of Zenda, and other romantic tales. Hope Hawkins died in 1933. 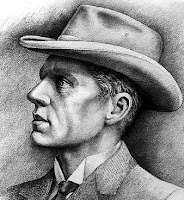 Born today in Minnesota in 1885 was Sinclair Lewis, the first American to receive the Nobel Prize for Literature (he declined the Pulitzer Prize for Arrowsmith ; go here to learn why). Notable works include Main Street (1920), Babbitt (1922), Elmer Gantry (1927), Dodsworth (1929), and It Can't Happen Here (1935). Once married to journalist Dorothy Thompson, he died in 1951. Go here for the full press release. The awards will be presented on May 30 in Los Angeles. Happy birthday, Father Andrew M. Greeley and Margaret Millar. Father Andrew M. Greeley, creator of clerical sleuth Blackie Ryan as well as the author of nonfiction and science fiction books, turns 80 today. His latest featuring Ryan is The Bishop at the Lake. And author Margaret Millar, the wife of Lew Archer creator Ross Macdonald, was born today in 1915. She died in 1994. Millar won an Edgar for Beast in View in 1956; other notable works include How Like an Angel and Beyond This Point Are Monsters. Paul Benjamin, author of the PI novel Squeeze Play (1982), was born today in Newark, New Jersey, in 1947. Of course, these days, he's better known by his real name: Paul Auster. Historians Ask for Release of Rosenberg Records. This week, the American Historical Association, GWU's National Security Archive, the American Society for Legal History, and the Society of American Archivists sought the release of grand jury records from the 1951 indictment of Julius and Ethel Rosenberg. Convicted of espionage, the Rosenbergs were executed in 1953. For further details, go here. For a NOVA interview with Michael and Robert Meeropol, sons of the Rosenbergs, go here. A nod to the Scots among us, with today's birthday of Muriel Spark—born today in Edinburgh in 1918, author of The Prime of Miss Jean Brodie (1961), and the dissertation topic of Ian Rankin. At left: artwork from the New Vic Theatre production of The Prime of Miss Jean Brodie.